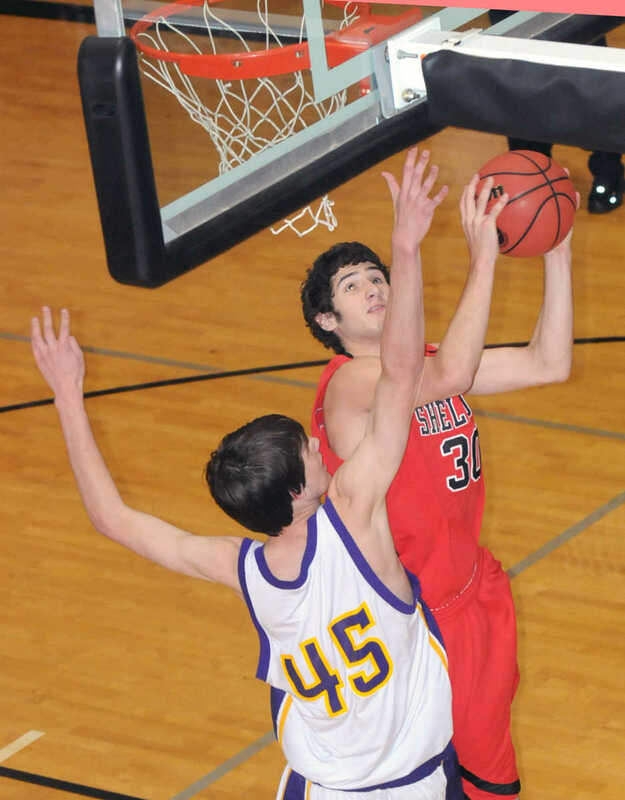 The Sheldon High School boys basketball team took on Thomas Jefferson Independent of Joplin in the Class 1, District 5 title game on Saturday night at Willard High School. 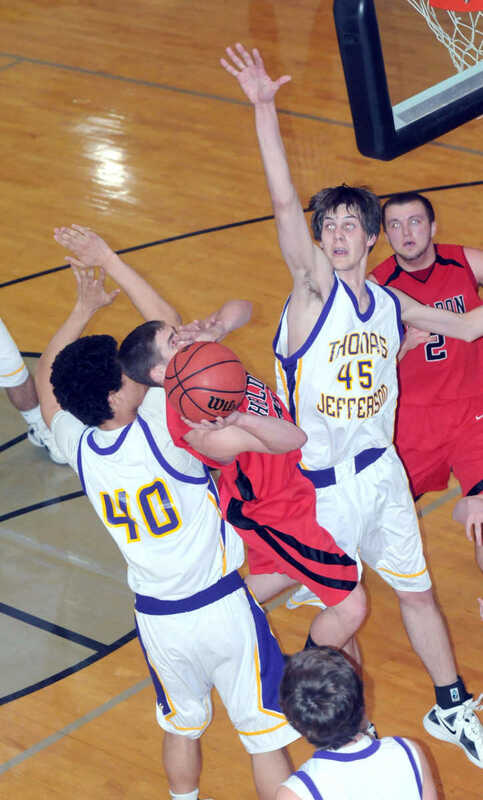 Thomas Jefferson won the game 45-34. To purchase any of these photos, call 417-667-3344. Corey Baney scores inside against Justin Brown. 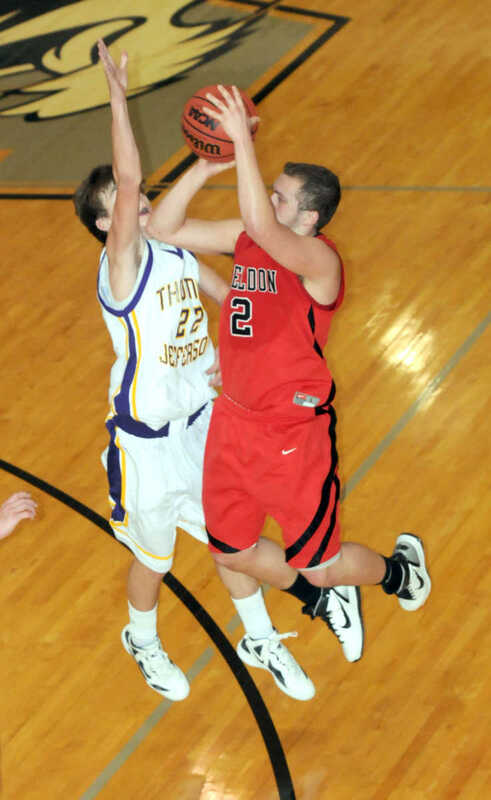 Eric Leavell shoots vs. Thomas Jefferson. 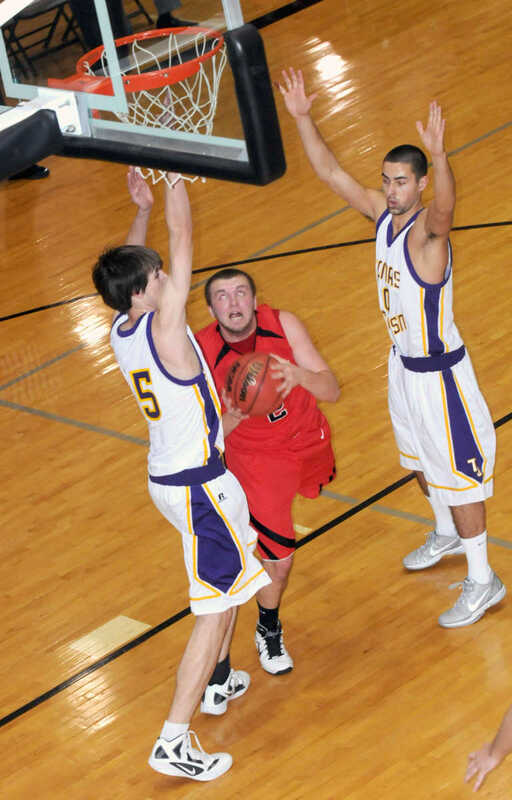 Leavell splits the defense in the lane. Tra Hart shoots vs. Brown. 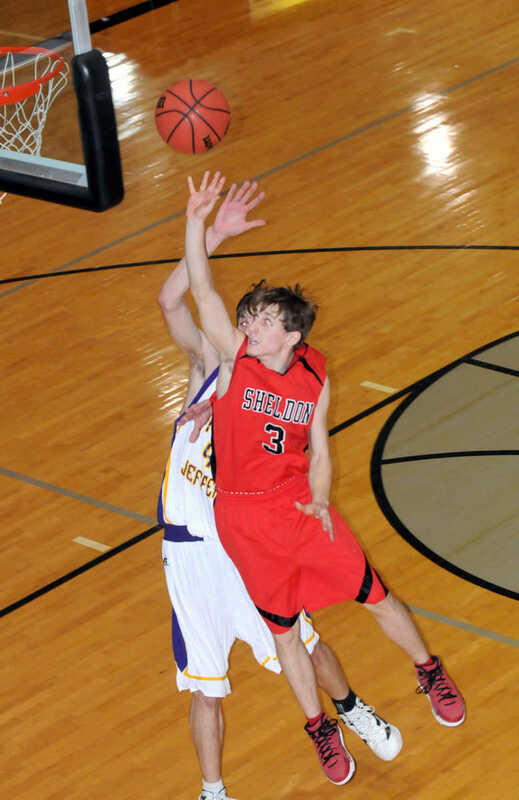 Cody Seibert makes a layup. 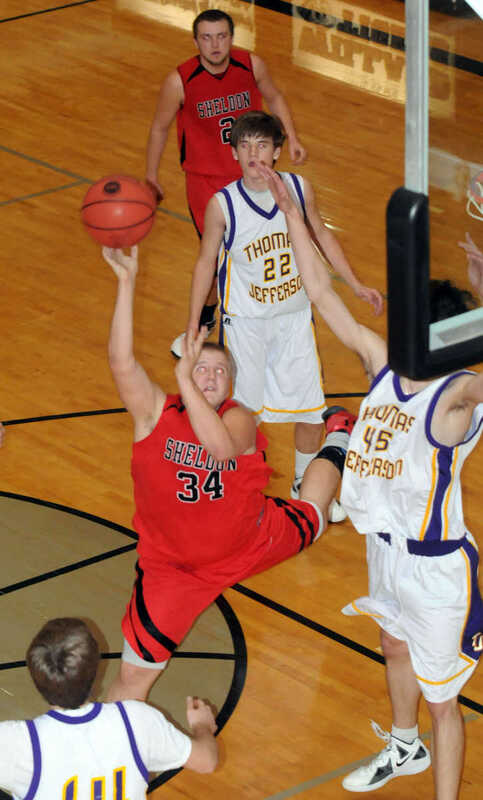 Reed Worsley pulls down a rebound. 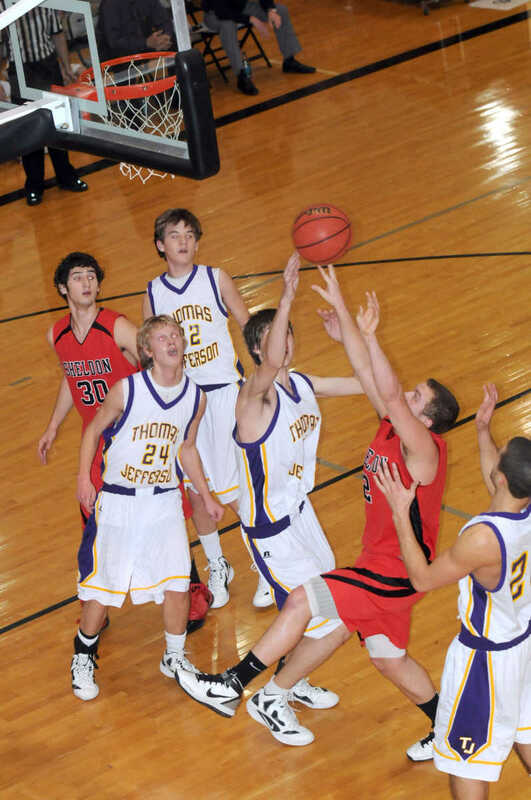 Hart shoots vs. TJ as the 6-9 Brown looks to block the shot. 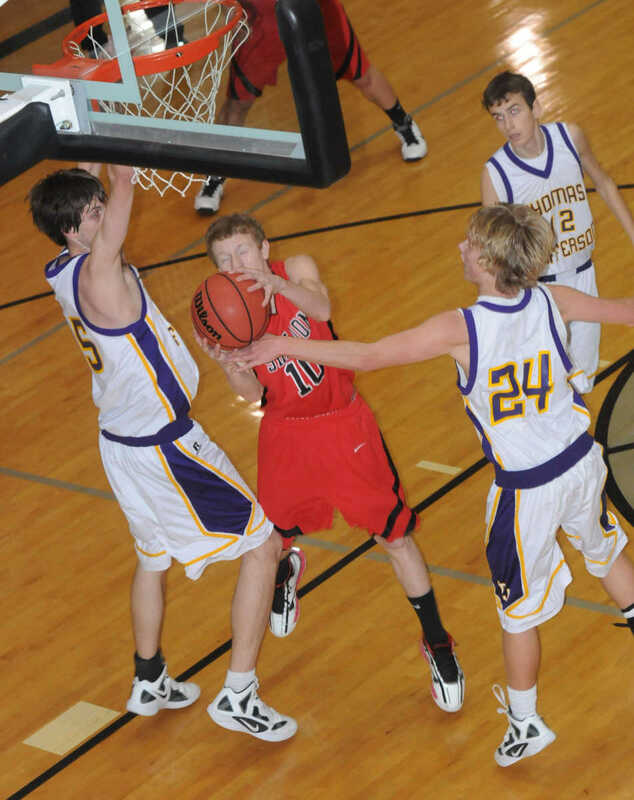 Dustin Rhoades tries to score inside. 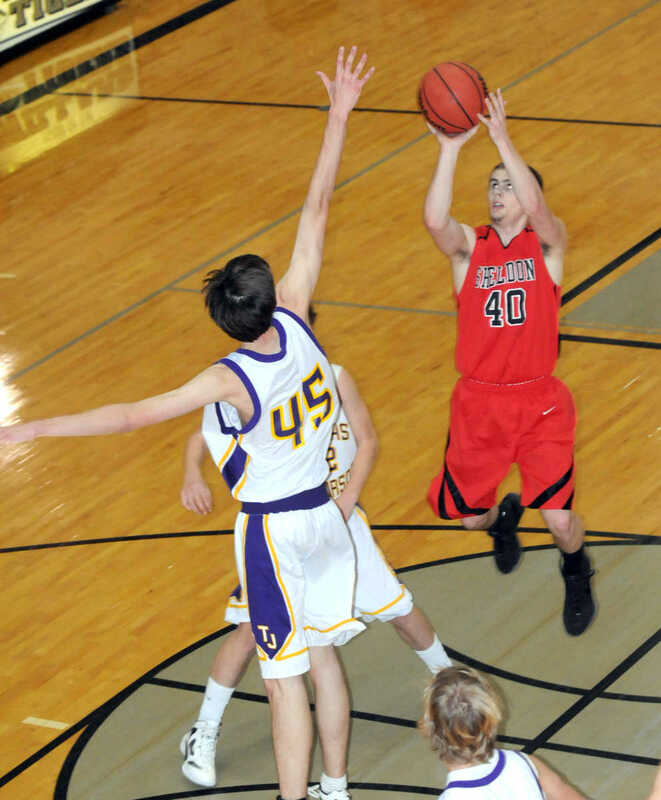 Leavell shoots late in the game. 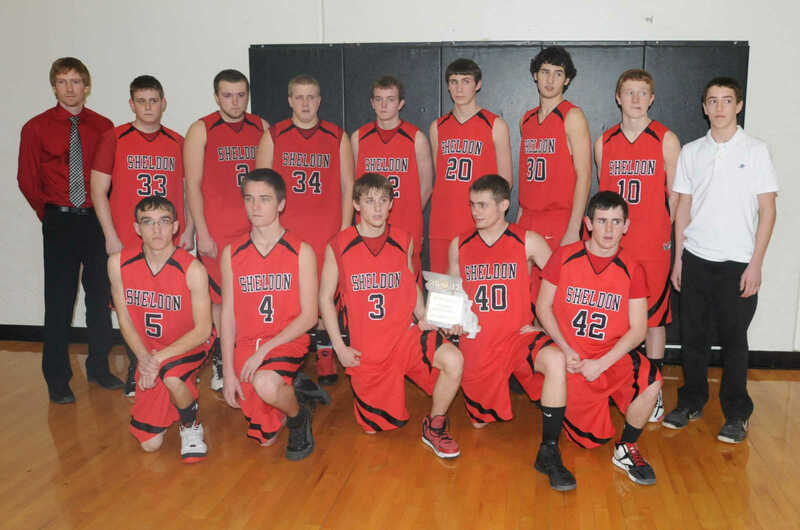 The Sheldon Panthers pose with the runner-up plaque.